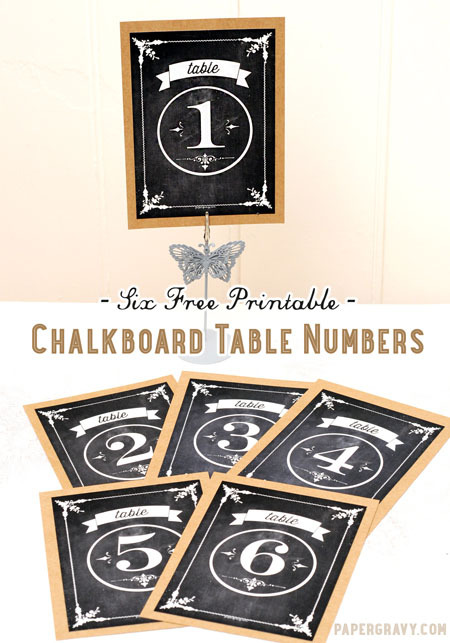 This month I have created some free printable chalkboard table numbers. Chalkboard style prints are right on trend at the moment and would make a stunning table decoration for a summer wedding! I have designed a set of eight designs using some ornamental frames and flourishes from the Graphics Fairy Blog which I edited in Photoshop using a background from my own collection to create a chalkboard style effect. To make the table numbers, I firstly printed them off on my home computer, I used a good quality white matte paper (Letter or A4 size paper) on this occasion rather than a glossy photo paper to give an authentic matte chalkboard effect. I then cut them out using a paper trimmer and mounted each one on some brown kraft card using a little glue. 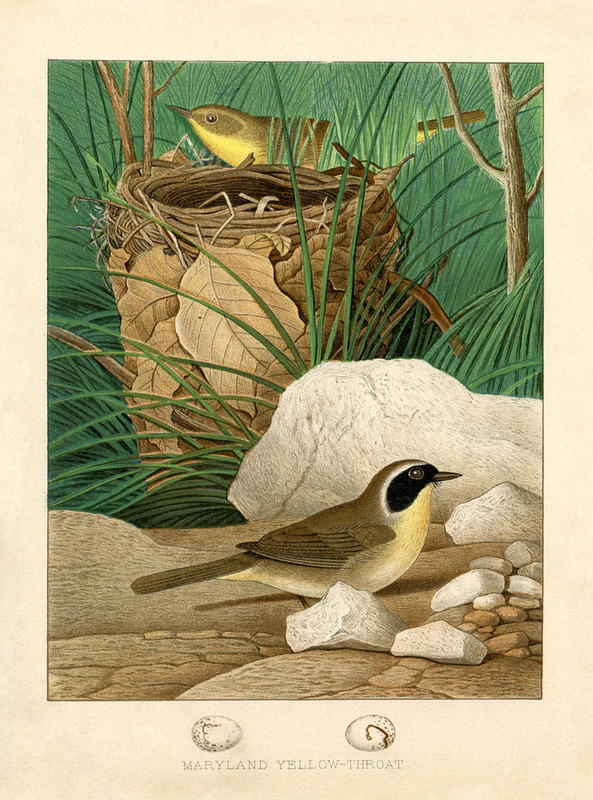 You could experiment with different colored backgrounds, perhaps if you had a particular color theme you could chose a co-ordinating card stock, (black card stock would also work really well). You can make the numbers double sided or single sided depending upon how you prefer them to look. If you want to try this for yourself using Photoshop Elements there is actually a great tutorial on the DIY blog about creating white text or imagery on dark backgrounds! I hope you enjoyed this post, you can follow me on facebook for lots more upcoming ideas and printables or stop by and say hello on my website! Those table numbers are beautiful – thank you!! Wow. Those are gorgeous. It’s really nice of you to share the printables. I have no events in the foreseeable future that I could use these for. I wonder if my husband would get too confused if I put the number one on the dinner table? ha! Don’ t know what I’ll use these for but if I don’t, might be sorry in future, who knows what could come up? Thanks so much, Niki and Karen. You gals are great, and I’m not just saying that. Bless your hearts and happy Summer. for your wonderful ideas and graphics. It is time to start relearning PSE again. Just finished 50 years of marriage so I definitely will make a table sign for dinner tonight…think he will know where to sit!! I’m so lost and behind the times I wouldn’t even know where to begin with putting any of this beautiful stuff on a chalkboard. Even the tutorials don’t help. Hi Nikki, these printables are amazing I love them. They are exactly what I want for my wedding, but I have 12 tables. Would you be able to send me 9-12 to make my look complete? I hope it’s not an unreasonable request I would really appreciate it. Thanks! These are beautiful. I want to use them for my friend’s wedding. Would you be so kind as to send 0 and 9. She’s got 30 tables. I was planning on just having two cards for those 2-digit numbers. Thanks a bunch! These are beautiful! I would love to use them for wedding but I have 13 tables. I was wondering if I would be able to work with you on getting the other numbers? I was wondering if there was a way to get these lovely table number graphics, from 1-25? I have a bride that saw them, but she has alot more tables. I have 13 tables. Would you please send me table numbers for 9-13? THank you sooo much! 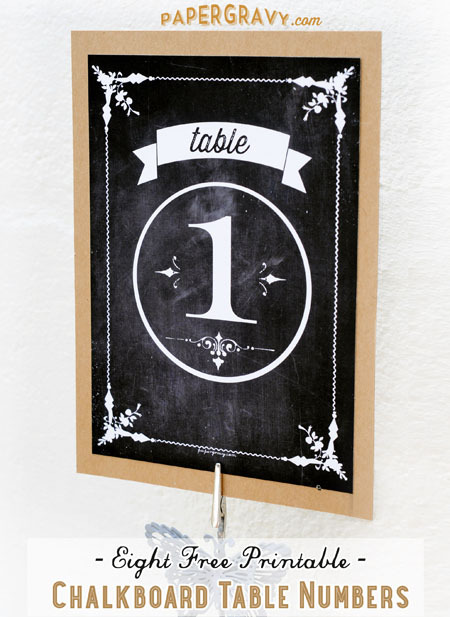 I am currently preparing my wedding for June next year and I really love these chalkboard table numbers 🙂 However as many others I think we will have the pleasure to host much more than 8 tables, thus I wondered if you could send me numbers 9 to 13? Hello! These are gorgeous. I like some of the other brides have more tables. Can you help me with 1-22? I love your table plans but alas I lack the numbers, my application is identical to other could you send me other number? up to 20? I really like these but need enough for 24 tables. Could you send me 7-24? Hi Betsy, I’m sorry, but I don’t do any custom orders. There’s just not enough time in the day! These are awsome how do i get numbers up too 16?